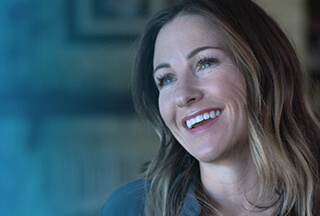 Digital Web and Platforms Advisor at Dell Inc.
Dell provides the technology that transforms the way we all work and live. But we are more than a technology company — we are a people company. We inspire, challenge and respect every one of our over 100,000 employees. We also provide them with unparalleled growth and development opportunities. We can’t wait for you to discover this for yourself as a Digital Web and Platforms Advisoron our Filed Marketing team in Bucharest. Assessing market trends, quantifying opportunities and developing marketing programs, Field Marketing at Dell is at the forefront of customer engagement. Responsible for a specific location, department or product, our teams drive marcom strategy – from making budget recommendations to defining roadmaps and informing content themes. Interacting directly with customers and utilizing third-party customer data, they provide Dell’s product marketing and messaging team with game-changing feedback. At the highest level, they develop and drive marketing policies and activities, from market research through brand management and product development to pricing. Integrate with backend services, APIs, and other 3rd party solutions to populate content and data. If you want to play a driving role in shaping marcom strategy for ground-breaking products, this is your opportunity to develop with Dell.